Appendix E: How to Behave in a Sicilian Post Office? Walk into the post office with the parcel you would like to send. The post office is, in fact, the meeting place of the retired. You should be prepared for this. Stand in line for the first half an hour. Once it is your turn, happily ask for some packing materials. They are not sold at the post office! Walk to the only tobacconist in town and ask for a used box. They will not sell you new ones, after all. Pack your parcel. Remember, it has to be the right colour! Stand in line for half an hour. Ask for a stamp. Oh, by the way, Sicilian post offices do not sell stamps. Walk back to the tobacconist. Ask for stamps. Oh, yes, how many? You forgot to ask how many stamps you need. Buy 15 euros worth, just to be on the safe side. Return to the post office. Stand in line for half an hour. Ask for an EMS form. The clerk will spend 15 minutes fetching it. Just because this is Sicily. Ask the clerk if you can fill in the form at the counter. The clerk says no. Fill in the form away from the counter. Take a new queue number while you fill in the form. You are now approaching the fourth hour. You have your parcel, appropriately packed. You have 15 euros worth of stamps. You have the EMS form. The clerk looks at everything sceptically. Everything happens as in a slow-motion film. One simple thing takes 15 minutes, if you are lucky. If you are unlucky, the cost for sending the parcel is 15 euros and 10 cents. That means another trip to the tobacconist. The clerk will show no mercy. You have been in the post office for 3 hours and 35 minutes. And this went well. If things do not go well, you will be in the post office for 5 hours. Never get angry with a bureaucrat! They are only doing their jobs slowly because, deep down, they are against their superiors. It is what I was told. You are their subordinate. It is all about power. When you have lost everything else in your life, power remains. This is what you do in a Sicilian post office, if you happen to find a suitable spot. Most of the time, all potential sleeping spots are taken. (#74). Groupe Casino is a prominent French and international mass retailer. Its turnover for 2014 was almost 49 billion euros, which is roughly four times the turnover of the Finnish S Group. Groupe Casino is a major shareholder of the Colombian Éxito mass retailer. In addition to France, Groupe Casino’s territory includes developing countries in South America and Asia. In 2011, Éxito’s own planners came up with the Finlandek brand. It competes in the same segment of furniture and household goods as IKEA. Éxito means success in Spanish. The word Finlandek comes from the Spanish word finlandés, which means Finnish. For the sake of modesty, one letter has been changed. This is something like selling chocolate that looks and tastes like Swedish Marabou with the brand name ‘Swebish’. A press release made in January 2015 reveals that the Finlandek brand has been an instant success. It covers over 1,000 products ranging in price from 1.50 to 80 euros. In fact, the latest online product catalogue shows that the products include a bed priced at 400 euros called Arkuus (Shyness) along with other furnishings. The BigC, a large department store located in Phitsanulok, Thailand, showcases Finlandek mops in tall stacks of ten or so boxes. 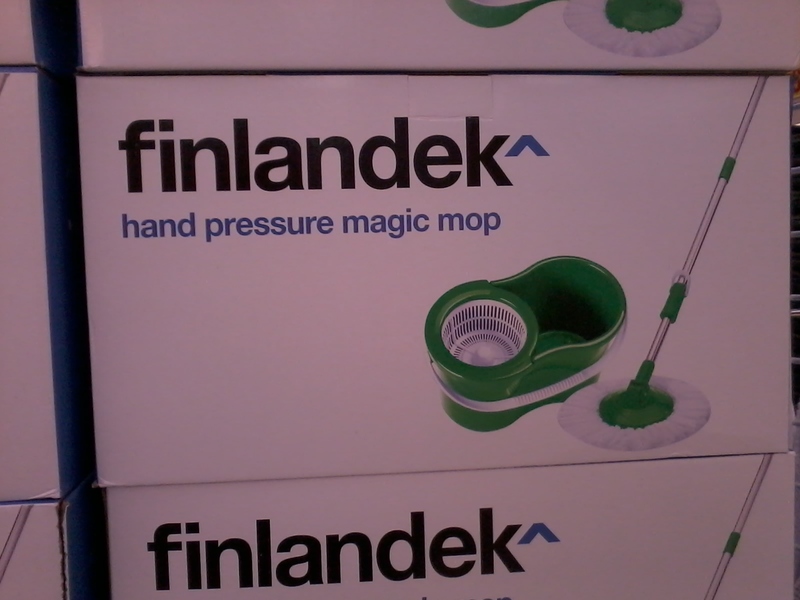 Who would tell customers that much has been stolen from Finland but that not even a cent earned from Finlandek products ever make it to Finland? Groupe Casino has not responded to a request for an interview. “Why should all this happen to us? No explanation is good enough, though one can invent a dozen. But certain things are fairly clear. One must be wholly “indifferent” to its coming and going. There must be no desire to continue the experience or store it away in memory. 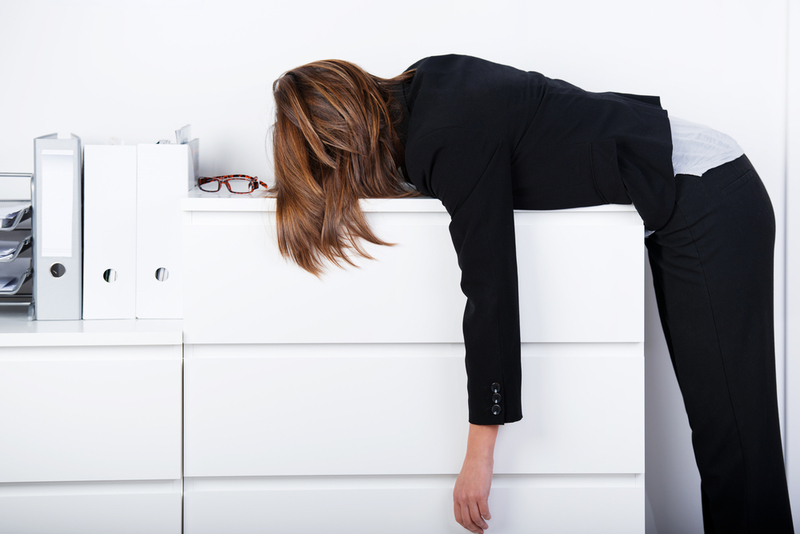 There must be a certain physical sensitivity, a certain indifference to comfort. There must be a self-critical humorous approach. You can also add love to this list but it is beyond love. Trat is both a province (changwat) and a town (mueang) in Southeast Thailand. The distance from Bangkok is 315 kilometers. Trat Province borders Cambodia and Trat town is an access point to Ko Chang island. 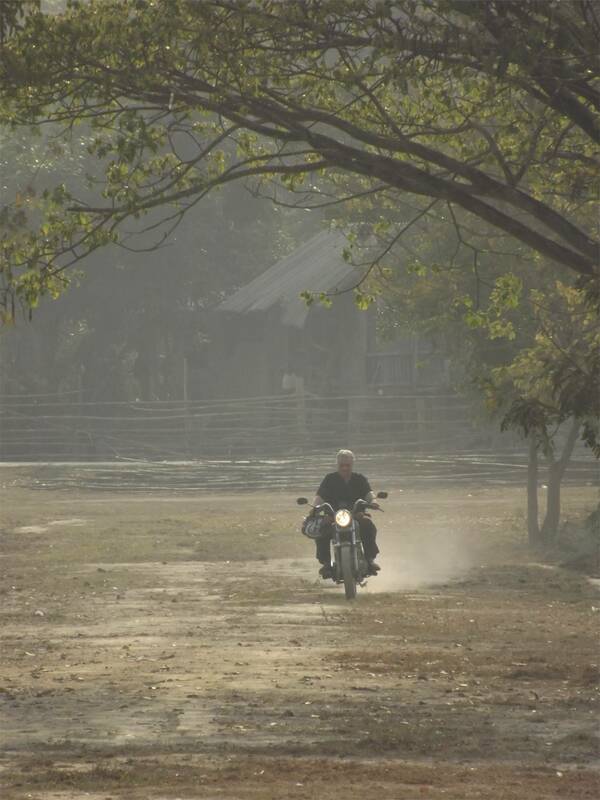 Trat is therefore an important gateway for travelers. 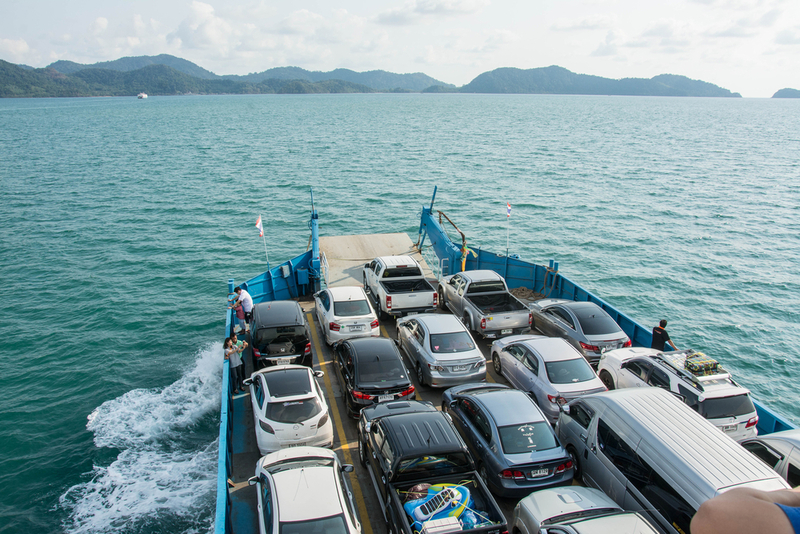 Once a town under French colony, Trat can be reached from Bangkok’s Ekkamai and Mo Chit terminals and even directly from the Suvarnabhumi airport by bus. Alternatively, there is a cheap light from Suvarnabhumi. If you plan to continue to Cambodia, there are minivans going from the Trat bus station to Hat Lek every 45 minutes. From Hat Lek, it is possible to continue to Koh Kong and Phnom Penh in Cambodia. Trat Province is most famous for its archipelago of 52 islands in the Mu Ko Chang National Park. Mu Ko Chang National Park was established in 1982. The most famous island inside the national park is Ko Chang. Mu Ko Chang has coral reefs and the islands are so far from the mainland that the sea water is clear. This is especially true further south where Ko Mak island is located. Ko Chang island is the 3rd biggest island in Thailand after Phuket and Ko Samui. It is almost 14 kilometers wide and 30 kilometers long. The beaches offer clean white sand with rich marine life and crystal clear seawater. Buddhist tradition lives in every town and village of Thailand in the form of more than 40,000 temples and each one of them has something unique. Thai temples (wat) consist of typical elements like ordination hall (bot or ubosot), assembly hall (viharn) and stupa (chedi). Situated two kilometers from the downtown, Wat Plai Klong was built already in 1652 when King Prasat Thong was ruling in the late Ayutthaya period (1351—1767). Tourist spots include for instance a Thai style priest house, a belfry and the oldest wooden viharn in Thailand which is the highlight especially for Thai people. But you might fall in love with statues of funny dogs! Watthana “Jum” Nutsombat, the owner of the Orchid Cafe, always listens to her customers in order to get new tips for her already extensive menu. Each time a customer asks, “Why don’t you have this”, Nutsombat responds, “Why don’t you show me how to do it”. That’s how she started to have continental breakfasts and that’s how she eventually started to have continental breakfasts with homemade bread. Just one slice of Nutsombat’s delicious homemade brown bread will make your stomach feel so full. To find homemade bread in Thailand is difficult and to find delicious homemade bread is even harder. Muay Thai is a famous combat sport in Thailand and it is often called “the art of eight limbs”. Muay Thai is characterized by the usage of shins, knees, elbows and fists. It became popular around the world in the 20th century because practitioners defeated famous practitioners of other martial arts. Muay Thai training centers can be found all around Thailand. Besides offering reasonable priced accommodation, Tattoo Guest House in Trat has a Muay Thai gym where you can train with Phetdam Lukboray, a notable Muay Thai fighter. He won four times the respected Muay Thai Champion of Lumpinee title in atomweight- and flyweight-classes. So while you are in Trat, why not keep your body in shape and exercise like Thais do. Forget Western style of exercising for a while and immerse truly in the ways of Thai people. Namtok (waterfall) Khlong Kaeo National Park is situated near the border of Cambodia and Thailand and it covers 200 square kilometers. The area consists of mountain range, cliffs, rivers, waterfalls and different kinds of plants such as shrubbery and trees between 25 and 60 meters. The ridge of the mountains lies between 100 and 836 meters and is situated at the borderline. The vegetation ecosystem is moist evergreen forest and it has tropical monsoon climate. It is a place perfect for your walking trip and while enjoying a waterfall, be aware that wild tigers have been confirmed to exist at other national parks nearby and at the Cambodia’s side. If you get extremely lucky, you might even spot traces of a tiger! Chantaburi Province is a province north of Trat Province. In 1893, France occupied the western part of Chantaburi Province. In 1904, Siam gave Trat to French Indochina in order to get Chantaburi back. The French however found that it was difficult to rule Trat which was almost entirely Thai populated. On 23rd of March in 1907, the French returned Trat to Thailand. In return, they got larger areas along the Mekong river. The French-Thai War was fought in 1940—1941. During the war, the French navy sailed from Saigon to Trat and tried to conquer it. Thai warships were unprepared. After the battle at Ko Chang, three Thai ships were sinking. Trat Independence Day is held on March 23—27 to celebrate the day when the French returned Trat to the possession of Thailand. The Ko Chang Naval Battle Day is held in late January. The celebrations commemorate the bravery of the Royal Thai Navy against the French navy on January 17—21, 1941. These local celebrations together with all other exciting Thai festivals are guaranteed to keep you thrilled during your stay in Trat! Borders: Chanthaburi Province to the northwest, Cambodia to the east, the Gulf of Thailand to the south. Local products: 1. Rubies — they are now depleted. 2. Ngop Nam Chiao — a palm leaf hat. 3. Rakam Wan — a sweet variety of Salacca. 4. Trat Si Thong pineapple. 5. Namman Lueang — a herbal rubbing oil. What is your first impression about Thailand? Many people remember those crazy and fuzzy Bangkok scenes from The Hangover Part II and for some, they might even present the whole truth about Thailand. It is true that Thailand offers wild and unbelievable night-life at dazzling clubs in Bangkok and at the legendary Sunrise Beach on the tropical island of Ko Pha Ngan, for instance. And did you know that three of the 15 biggest shopping malls in the world are located in Thailand? Yet, this is only a small fragment of Thailand. Walk only a couple of blocks from a fancy shopping mall and you could find a traditional Thai market place (talat) offering everything possible that one could imagine – food, clothes, jewelry, electronics. And the never-ending smiles are of course free! Buddhism is deeply rooted in Thai culture. Historical stone temples and gleaming stupas decorate both rural and urban landscapes all over Thailand. During an early walk, it is possible to encounter a Buddhist monk in his yellow robe walking near the monastery and accepting donations. Religion in contemporary Thailand is however much more interesting than what can be seen and experienced from the traditional point of view. Modern retreat centers offering meditation, yoga and dharma (tham) talks are popping out like mushrooms in quiet villages in Northern Thailand as well as on lush and even deserted islands in Southern Thailand. It is this mixture of the new and the old that makes Thailand’s religious atmosphere so refreshing and unique. When a foreigner goes first time in a local Thai Restaurant and orders som tam, a spicy papaya salad, his head might turn red and feel like exploding. An over-sweet Thai dessert afterwards could cause his body to react again. Actually, sweet and spicy are only two main aspects of Thai cuisine. Thai cuisine is based on interplay of at least three and up to five taste senses in each dish or the meal: sour, sweet, salty, bitter and spicy. It is usually lightly prepared and it favors aromatic and spicy components. In 2011, seven dishes that are popular in Thailand ranked among world’s 50 most delicious foods (a CNN worldwide travel poll). So forget the spicy, forget the sweet — Thai cuisine is much more. Among others, it is tom yam gung, a soup cooked with shrimp; it is phat thai, a stir-fried rice noodle dish; it is kaeng matsaman, a rich and relatively mild Thai curry. Don’t forget to say aroi mak-mak (so delicious). And yes, you get used to the spicy. But you can always say mai phet, not spicy. Thailand is a monarchy and as such, it has a long history of people coming from respected backgrounds. The Sakdina system was introduced on the 15th century and it defined the roles of the nobles and the masses. Although not officially supported anymore, remains of sakdina still exist. The modern Thai words hi-so and lo-so refer to the nobles and the masses of Thailand today but sometimes, hi-so is used to refer to anyone who is rich, even the newly rich. Walk on the outskirts of Bangkok near a private university and you can see students driving Porsches and BMWs. Although there is still 7 million poor people in Thailand, the economic growth has been fast which means that the amount of middle-class people is rising. In 2011, Thailand became an upper-middle income economy. Also in 2011, the minimum wage was set for 300 Thai bahts a day (8.5 US dollars). Walk a little bit further on the outskirts of Bangkok, and you will see factories where people have to do hard manual work 7 days a week. There is a huge contrast between them and the Porsche-driving students. But no matter who you approach, you are always politely and warmly greeted! Even if class hierarchies are still recognized inside today’s Thai society, as a foreigner you are automatically respected. Did you ever imagine renting your own private beach? You would gaze the million shining stars on a clear night sky, enjoy the soft tropical warmth around your body while eating delicious freshly caught fish especially made for you. In Thailand, this is not only possible, it is not expensive. Renting a beach from a quiet and isolated island in Southern Thailand is only one of the endless possibilities for a nature lover. From south to north, there are natural hot springs, and in some of those, you can even enjoy bathing and letting the minerals of the water heal you. When one goes further north, there are more natural parks and they become vaster. What about a day trip with friends to a natural park? You could walk along a lovely riverside until you reach a magnificent waterfall. Enjoy your picnic there and swim in a cool water to escape the heat. In Northern Thailand, rent a guide who will take you to a remote lake and arrange a canoe and fishing equipment for you. If you have no previous experience, he will even teach you how to canoe and catch a fish. Let’s not forget the flower beauty of Thailand! All year round, just pop in any park or university campus, and you will witness gardens, ponds and lawns well taken care of. If you want to experience something special, visit any city on the King’s birthday (5th of December). You are guaranteed to see amazing colors and imaginative plantings. What else do you love? Hiking, biking, rafting, seeing wildlife, going to flower festivals? It is all there. And it is waiting for you. Right now. 42. Artikkeli: Miksi Krishnamurti on suurin moderneista henkisistä opettajista? Jeesus on aivan omassa kategoriassaan elämää ymmärtäneenä ihmisenä, mutta entäpä Buddha, Jiddu Krishnamurti tai Echkhart Tolle? Kun minua oli kohdannut syvä energia, mietiskelin päivisin valaistuneita ihmisiä. Keitä he ovat? He ovat ihmisiä, jotka ovat päivittäin yhteydessä tuohon suureen energiaan. Oivallus on pelkkä etäinen heijaste tuosta suunnattomasta elämän energiasta. Oivallus, rakkaus, oivalluskyky, herkkyys, kauneus, viisaus — kaikki ovat samaa. Mutta valaistuneelle tuo hiljaisuus, herkkyys, kauneus on pysyvää. PYSYVÄÄ. Juuri siinä se pieni ero. Kaikista maailman valaistuneita on mahdoton valita ”voittajaa”, mikä sinällään on lapsellista. Mutta vertailuja voi aina tehdä. Sittemmin Eckhart Tollesta tuli kansainvälisesti merkittävä nimi henkisyyden kentällä sekä Adyashantista. 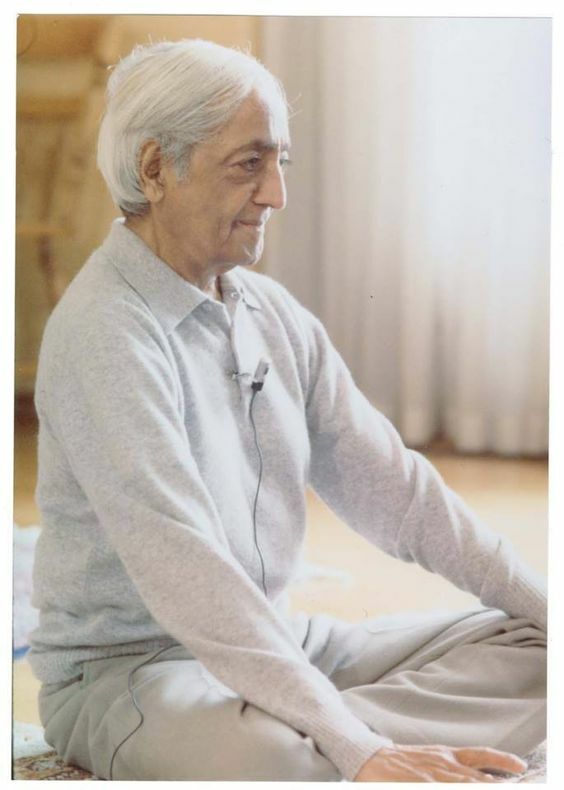 Jiddu Krishnamurtin ja Eckhart Tollen valaistumisprosessit kulkivat hyvin erilaisia reittejä. Krishnamurtin valaistuminen kulki klassista oivallusten reittiä kohti totaalista selkeyttä. Tämän totaalisen selkeyden Krishnamurti sanoi tavoittaneensa vasta yllättävän iäkkäänä, 37:n ikäisenä. Tollen valaistuminen taas perustui yhteen superoivallukseen, jonka seurauksena mielessä tapahtui mutaatio. Tämän superoivalluksen jälkeen Tolle alkoi selvittää, mitä hänelle oikeastaan oli tapahtunut. Krishnamurtin ja Tollen valaistumisprosessien ero näkyy tavassa, jolla he vastaavat ihmisten kysymyksiin. Tollen vastaukset ovat usein hyvin teoreettisia, hän lainaa paljon historian tunnetuilta filosofeilta ja henkisiltä opettajilta, hän antaa ikään kuin oppikirjamaisen vastauksen kysymykseen. Krishnamurti puolestaan ei juuri koskaan lainaa ulkopuolisilta auktoriteeteilta, hän ammentaa vastauksen kokonaan omasta kokemuksestaan ja omasta kyvystään nähdä kysymyksen ydin. Krishnamurtin vastaukset tuntuvat usein syvemmiltä kuin Tollen. 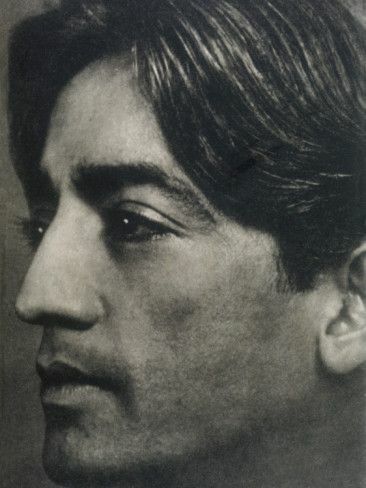 Krishnamurti lähestyy kysymystä pintatasolta edeten siitä syvemmälle keskeisiin ristiriitoihin ja siitä edelleen niiden ulkopuolelle. Tolle antaa vastauksensa usein oppikirjamaisesti kertoen, miten asiat ovat, mutta häntä kuunnellessa ei tule samanlaista tunnetta tunkeutumisesta syvemmälle mielen erilaisiin kerrostumiin. Toinen keskeinen ero Tollen ja Krishnamurtin opetuksissa on Tollen korostunut suhtautuminen ihmiskehoon. Tolle puhuu jatkuvasti siitä, että meidän tulisi oppia ”asuttamaan kehoamme”. Krishnamurtin opetuksissa taas keho on ikään kuin ymmärryskyvystä ulkopuolinen kokonaisuus; on hyvä huolehtia kehosta ja elää tervettä elämää, mutta kehosta huolehtiminen — kuten jooga — ei Krishnamurtin mukaan millään tavoin auta syventämään oivalluskykyä. Oivalluskyky on Krishnamurtin opetuksissa kehoa ja aivoja syvempi elementti, ja oivalluskyky voi kyllä vaikuttaa aivoihin mutta toiseen suuntaan ei yhteyttä ole. Tässäkin kohtaa Krishnamurti on tietysti oikeassa. Kolmas ero Tollen ja Krishnamurtin elämässä on se, että Krishnamurti loi maailmaan pyhiä paikkoja, joihin ihmiset voivat mennä tutkimaan elämän syviä kysymyksiä. Krishnamurtin perustamat koulut olivat näitä pyhyyden ilmenemispaikkoja. Tolle kyllä kiertää maailmaa ja pitää puheita sekä keskustelutilaisuuksia monissa eri paikoissa, mutta hän ei ole luonut maailmaan tällaisia pyhyyden ilmenemispaikkoja, jotka jäisivät Tollen kuoleman jälkeen elämään. Tollella on yksi merkittävä etu Krishnamurtiin nähden. Krishnamurti löydettiin jo nuorena, ja hän pääsi pois omasta kulttuuriperimästään aikaisin; hänen ympärillään oli myös aina ihmisiä, jotka suojelivat ja auttoivat häntä ja tekivät näin helpoksi suureksi henkiseksi opettajaksi tulemisen. Tolle on käynyt koko valaistumisprosessinsa yksin läpi, eikä hänen tukenaan ole ollut ketään. Tässä mielessä Tolle onkin suurempi kuin Krishnamurti; Tolle on osoittanut, että valaistumiseen ei tarvita mitään muuta kuin oma oivalluskyky. Vaikka Krishnamurtin sanoma oli pohjimmiltaan sama, hänen elämänsä järjestyi kuitenkin ulkoisesti täysin eri tavalla; hänen ympärillään oli jo nuoresta alkaen suojelijoiden joukko. Puhtaasti oivalluskyvyllisestä näkökulmasta katsoen Krishnamurti on eittämättä suurempi kuin Tolle. Hän on tavoittanut jotakin sellaista, mitä Tolle ei kykene pukemaan sanoiksi. Ero on pieni, mutta se on silti olemassa. Kun Tolle puhuu kukista, hän sanoo, että voi melkein aistia kukan ympärillä olevan hiljaisuuden kehän. Krishnamurti pystyisi kertomaan, mikä tuo hiljaisuuden kehä kukan ympärillä on. Tolle korostaa sitä, että ihminen voi siirtyä oman itsensä ulkopuolelle tarkkailemaan ajatuksiaan. Krishnamurti ei koskaan pyri korostamaan tällaista jakautumaa tarkkailijaan ja tarkkailtavaan vaan päinvastoin näkee jakautuman olevan kaikkien ongelmien alkusyy. Siinä missä Tolle pyrkii viemään jakautuman niin pitkälle, että tarkkailija alkaa toimia itsenäisesti ja ajatus menettää siten merkityksensä, Krishnamurti pyrkii tuhoamaan jakautuman sinänsä. Tämä taas tapahtuu ajatuksia ja tunteita ymmärtämällä eikä siten, että pyritään saamaan yhteys ylivertaiseen tarkkailijaan. Tulevaisuuden suuri guru, joka aikanaan — ehkä 500 vuoden päästä — ilmaantuu maailmaan, on toivottavasti yhdistelmä Krishnamurtia ja Tollea. Hänen tulisi olla oivalluskyvyltään yhtä syvä kuin Krishnamurtin, mutta hänen elämänsä kulkisi toivottavasti Tollen viitoittamaa latua. Hän ei tulisi olla onnenpekka, joka saisi erikoiskohtelua nuoresta pitäen, vaan hän olisi Tollen kaltainen tavallisen elämän eläjä. Vasta sitten kun tämä suuri guru olisi saavuttanut totaalisen selkeyden, saisi hänen ympärilleen kertyä suojelijoiden joukko — ei yhtään ennen. Totaalinen selkeys elämässä on äärimmäisen harvinaista, ja vain harvat sukupolvet saavat nauttia sellaisen ihmisen valovoimasta, jollainen elää tätä totaalista selkeyttä. Vaikka 1900-luku oli sotien, saastumisen ja väestönkasvun aikakautta, saivat 1900-luvun ihmiset nauttia Jiddu Krishnamurtista. Minun kuolemani myötä maailmasta poistuu syvä energia, Krishnamurti kertoi ennen kuolemaansa, ja tuo syvä energia palaa maailmaan vasta aikojen kuluttua. Nyt meillä on Eckhart Tolle, mutta oliko Krishnamurti siinä oikeassa — kuten hän lähes aina oli — että jokin syvä energia on kadonnut maailmasta? Silloin syntyy Eckhart Tollen kaltaisia tarinoita, mutta ei Jeesuksen kaltaisia elämää suurempia tarinoita. Ellet sinä tai minä luo sellaista!